The oils are full strength and must be used cautiously. Normally one drop every 2-3 days or as needed is sufficient. With milder oils, such a lemongrass or basil, two drops per day is not unreasonable but please do not try this with cinnamon bark or clove bud essential oil. Note: Eucalyptus Oil is not intended for internal use. Basil, Sweet, Therapeutic Quality Essential, 5 ml. Basil is an insect repellent and nervine, meaning it relaxes the mind and eases pain. It is a stomachic and cleans the intestines. Basil blends well with eucalyptus, frankincense, ginger, lavender, lemon, and rosemary. Contents: steam distilled flowering tops of unsprayed Ocimum basilicum essential oil. Bergamot Essential Oil, certified organic, 5 ml. Bergamot is a bitter orange, originally from Lombardi. It is highly fragrant and carminative. It helps improve the appetite and digestion and acts on intestinal parasites. It has modest antimicrobial properties and a tendency to stimulate the pancreas and liver. It can also be used vaginally for candida, often blended with geranium or lavender. Bergamot is tonifying to the nervous system and relieves tension. It is often added to blends to support emotional release and relaxation. It is somewhat phototoxic so when used topically, it is better to avoid exposure to the sunlight for three days following use. Contents: cold pressed oil of certified organic peels of Citrus bergamia. Contents: steam distilled essential oil of organic Cinnamomum burmannii bark. Citronella, Therapeutic Quality Essential Oil, 5 ml. This oil is distilled from the fresh grass and is a natural insect repellent and vermifuge. It is often used to disinfect rooms and freshen the air. At low doses, it is non-toxic but it pays to test for skin sensitivity before applying to the skin or clothing. It blends well with eucalyptus, lavender, lemon, peppermint, rosemary, and tea tree. Consider using this or a blend based predominantly on citronella in an amulet. It can also be added to the water used to mop floors, and it can be diffused using a nebulizer or candle. Contents: steam distilled therapeutic grade essential oil of unsprayed Cymbopogon nardus. Clary Sage Essential Oil, organic, 5 ml. Clary sage is a plant with wide commercial and medicinal uses. Basically, it is antispasmodic and thus relieves cramps, but it is somewhat stimulating to estrogen production so this fact should be noted by those seeking to avoid such oils. For the same reason, it is something for menopausal women to consider. It is a tonic for digestion as well as the kidneys. Contents: steam distilled aerial parts of organic Salvia sclarea. Contents: certified organic, steam distilled Syzygium aromaticum buds essential oil. Contents: steam distilled essential oil of Coriandrum sativum seeds. Davana Essential Oil, 5 ml. Davana oil has a long religious history in India, but it has numerous therapeutic benefits that have been extensively researched. Modern studies suggest that the ritualistic use of davana has a sound scientific basis as a disinfectant that is particularly beneficial where large numbers of people are gathered. The oil causes the coating of viruses to rupture so that infections do not spread. Another use of davana is more psychological and spiritual. Davana is not just relaxing, but it helps people to find composure after trauma and/or shock. It also promotes wound healing and has mild antiparasitic properties. The oil is fragrant, non-toxic but sometimes irritating, and it blends well with citrus oils. Contents: Steam distilled Artemisia pallens flowers and stems. Douglas Fir Essential OIl, wild harvest, 5 ml. Douglas fir is a zesty aromatic oil with a hint of lemon in the pine. Douglas fir is used as a disinfectant, room freshener, and respiratory aid. Some use it to clear their space for meditating and aligning. Though non-toxic and non-irritating, it is meant for external use. It mixes well well lavender, lemon, and rosemary. Contents: steam distilled essential oil of wild harvested Pseudotsuga menziesii needles. Elemi Essential Oil, 5 ml. Elemi is a distant cousin of frankincense and is sometimes called Manila Elemi because it comes from the Philippines. Like frankincense, the oil is made from the gum resin of the tree from which pili nuts are collected. The resin is yellowish in color and flows like honey but hardens with contact with the air. The resin is wildcrafted and steam distilled. It has a refreshing citrus-like aroma and is used primarily as an antiseptic. The tree is highly resilient. It survives wind, tropical storms, and drought and passes along its adaptability to those who use its gifts. It can be used to manage stress, inhaled to clear the lungs, and applied to scars to reduce adhesions and stretch marks. Elemi is regarded as a skin rejuvenator but, as with most oils, sensitivity can vary and dilution is recommended. It can also be used in a vaporizer or inhaler . . . or a drop can be placed on the palms of the hands and then cupped over the nose and inhaled to relax coughing and breathing issues. Contents: Steam distilled wildcrafted resin of Canarium luzonicum. Eucalyptus Essential Oil, organic, 5 ml. Eucalyptus is generally used as an inhalant for long-term sinus and respiratory complaints. Our species, radiata, is gentler than many forms of eucalyptus and therefore is suitable people who have spasms and other irritations. It can be used as an antimicrobial for both bacteria and viral infections. It is especially effective against staphylococcus and should be considered for use with eczema. It combines well with lemon but also can be used with peppermint and lavender. Contents: steam distilled certified organic Eucalyptus radiata leaves essential oil. Fennel Essential Oil, organic, 5 ml. Fennel has a fragrance similar to licorice taste and is very popular in India and parts of Europe. It"s aromatic and relaxing. It is used to detoxify and strengthen the liver, relieve colic and spasms, promote healthy digestion and assimilation of nutrients, and cleanse the mouth after eating. It is antibacterial and antifungal. Some believe it promotes hormonal balance. The oil is made from the seeds and is non-toxic and non-irritating, but it should not be used during pregnancy. Despite its reputation for being estrogenic, it is anticarcinogenic and chemoprotective. Contents: steam distilled biodynamically cultivated Foeniculum vulgare essential oil. Frankincense Essential Oil, B. carterii, WC, 5 ml. Frankincense is mainly used to reduce inflammation, but it can also be applied to scars or added to drinking water to reduce the risk of parasitic infections. It is considered to be so spiritually elevating that it relieves depression. It improves breathing and promotes relaxation of a soothing and harmonizing quality. Though mainly used ritually, recent research has found significant uses in the treatment of cancer and diseases of the reproductive system and urinary tract. It is non-irritating and blends well with lavender and lemon. Contents: steam distilled wild harvest Boswellia carterii resin. Frankincense Essential Oil, B. rivae, CO, 5 ml. This frankincense, Boswellia rivae, is used in the same manner as its cousins. The main difference is that it has a zestier aroma that lingers more than the more familiar Boswellia carteri. It is pricier because it is rare. Contents: steam distilled certified organic Boswellia carterii resin. Galbanum Essential Oil, Wildcrafted, 5 ml. Galbanum has been famous for thousands of years. It was often added to bath water as well as ointments. It can also be burned as incense. It has many therapeutic benefits and is often used to alleviate scarring due to acne and toxins. It can also be considered when there are stretch marks or wrinkles due to aging. Galbanum is purifying and tissue rejuvenating. As such, it can be used to promote wound healing. Galbanum is decongesting and this action can be seen in the nasal passages and lungs as well as blood and lymph. It is an insecticide and parasiticide and like most substances that reduce the parasite load, galbanum often alleviates the aches and pains associated with arthritis. Contents: 100% pure steam distilled wildcrafted Ferula galbaniflua resin. Contents: steam distilled aerial parts of certified organic Pelargonium graveolens. Contents: CO2 processed Zingiber officinale rhizome. Gingergrass Essential Oil, 5 ml. 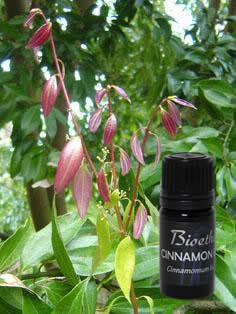 Cymbopogon martinii is the source of two different essential oils: palmarosa and gingergrass. The gingergrass oil is used to clear sinus passages and improve blood flow. If used topically, such as a compress to the head or chest, it should be diluted. It can also be added to bath water, about 8 drops per tub of water. If used in a nebulizing diffuser, adhere to the safe operating guidelines by turning the diffuser off after 3-5 minutes. Since this spicy oil is new to our line, those who are wondering how it smells might compare it to lemongrass. It mixes well with frankincense and can be used to stimulate circulation to the head. Contents: hydro distilled aerial parts of non-sprayed Cymbopogon martini var. sofia. Peru Balsam Essential Oil, 5 ml. Peru Balsam is too thick to use in a nebulizing diffuser, but it has a marvelous aroma and many therapeutic benefits. It is often used as a fixative in blends due to its properties and vanilla-like scent. It has a specific action on the bacteria causing tuberculosis and works both to suppress coughing and eliminate the disease. It is also used in dentistry on dry sockets. It can be combined with other ingredients to make wound treatment ointments and make suppositories for hemorrhoids. Contents: steam distilled unsprayed Myroxylon pereirae resin.